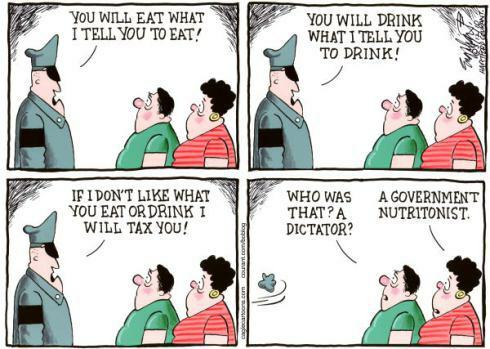 Who polices the food police? You know how everyone thinks that dietitians are the food police (spoiler: we’re not)? I find it a bit ironic (no, not like rain on your wedding day, that’s just crap luck) that everyone seems to believe that we’re secretly judging every morsel they eat. Honestly, I generally pay very little notice to the lunches of others; unless they consume a Monster energy drink and a chocolate bar on the daily in which case I dare you not to pass judgement. At any rate, I find that others are far more likely to pass judgement on what I’m eating when they know I’m a dietitian than I am to pass judgement on them. I’ve had people say things to me like “but you’d never eat that” when discussing a chocolate cake recipe and then show genuine shock when I reply “of course I would, I love chocolate”. When I ate lunch at work I would have co-workers examining the contents of my lunchbox, often either expressing their distaste at my “fear factor” food or amazement that I was eating something “normal” like spaghetti. My lunch was a constant source of scrutiny and discussion. And yes, some days I lived up to their expectations with a kale salad in a jar or a glory bowl but dietitians can’t live on superfoods alone. Sometimes we enjoy a cookie, chips, or chocolate bar. I also experience a weird pressure when faced with food at work events or when offered food by a co-worker. Maybe I’m just paranoid, like everyone who thinks that I’m judging their lunches, but I always feel like my decision faces extra scrutiny simply because of my profession. When offered a chocolate my thought process is: “should I take this to show that I’m cool too, I’m not some health freak dietitian that subsists solely on green smoothies and quinoa? Or should I politely decline to set a good example, show them that I’m a good healthy dietitian and quietly eat my chocolates behind closed doors at home?” I feel like no matter what my decision it’s going to be “wrong” so I decide based on whether or not I actually want that treat at that time and whether or not I’ve already had a treat that day or will be having one later and just hope that people aren’t thinking “look at her, she thinks she’s so much better than us not having a candy”. In truth, it really doesn’t matter what others are thinking of me and my food choices. In fact, I’m (hopefully) just being as paranoid as you are when you think that a dietitian is judging your food choices. 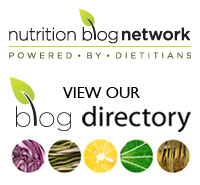 Tags: dietitians, food choices, food police, healthy eating, judgement, nutrition | Permalink. Love this! I feel the same, and I haven’t even graduated yet… Most of us just love food, no food policing from my end! Thank you Tess. Good luck with your studies! As I dietitian I completely relate to this article! Thank you for your down to earth posts! I can also totally relate to this post! People definitely check out what I choose to eat. I also let my patients see my food journal at MyFitnessPal and they are happy to know I am human with a beer or glass of wine there or a mindful indulgence of a treat. So true! I actually find myself taking treats I don’t really want at times just so people aren’t thinking I’m judging them for having them! This though! We had a whole discussion about this in our nutrition counseling class. It’s crazy how much this actually happens though.